The movement of civilian ships in the Kerch Strait, which Russia suspended on Sunday afternoon for security purposes, has been resumed, General Director of Crimean Seaports Alexey Volkov told Interfax. “The strait is open early in the morning,” he said. Earlier, the release of the detained Ukrainian ships and to allow them to freely go to the Ukrainian ports called Russia Estonia. “Estonia condemns Russia’s attack on the Ukrainian naval ships in the Kerch Strait and calls on Russia to immediately stop this attack, release the ships and allow them to freely go to the ports of Ukraine,” said Estonian Foreign Minister Sven Mikser. With the demand for the return to Ukraine of the Ukrainian military vessels detained by Russia by Ukraine, the Minister of Foreign Affairs of Canada Hristea Freeland also spoke out. “Canada condemns Russia’s aggression against Ukraine in the Kerch Strait. We call on the Russian Federation to immediately de-escalate, free the captured ships and restore freedom of navigation, ”H.Freland wrote in her Twitter microblog. Earlier it was reported that in order to forcefully stop the Ukrainian warships, Russian border guards were forced to use weapons. As reported by the DSP of the FSB of Russia, the vessels of the Ukrainian Navy “Berdyansk”, “Nikopol” and “Yana Kapu” that violated the state border of Russia at 19:00 on November 25 made another attempt of illegal actions within the territorial sea of ​​the Russian Federation. They did not react to the legal requirements of the ships and boats escorting them from the border guards of the Federal Security Service of the Russian Federation and the Black Sea Fleet, they made dangerous maneuvering. For the purpose of forcibly stopping the Ukrainian warships, weapons were used. As a result, in the territorial waters of the Russian Federation in the Black Sea, all three vessels of the Ukrainian Navy were detained. Three wounded servicemen of the Armed Forces of Ukraine received medical assistance. There is no threat to their lives. A criminal case has been initiated into the violation of the state border of the Russian Federation. 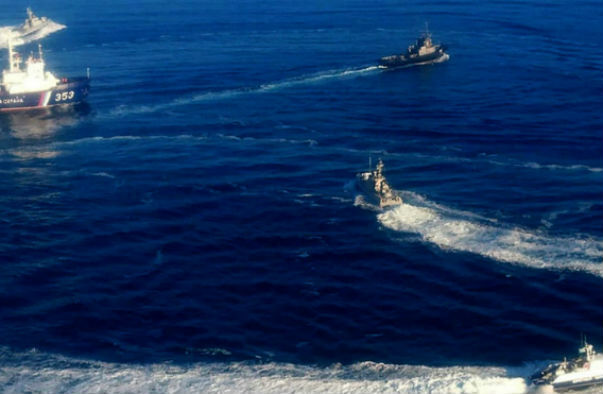 It should be noted that the Ukrainian side is aware of the procedure for the passage of warships through the territorial sea of ​​the Russian Federation and along the Kerch-Yenikalsky channel. This order has previously been used by them to make a peaceful passage. Meanwhile, the United States Permanent Representative to the UN Nikki Haley confirmed that an emergency meeting of the UN Security Council on the situation in the Azov and Black Seas will be held on Monday at 11:00 local time (19:00 Moscow time). “An emergency meeting of the Security Council is convened at 11:00,” the diplomat wrote on her Twitter account. The media notes that the meeting is convened at the request of both Russia and Ukraine. Earlier, the post of the Russian Federation at the world organization reported on the convocation of the UN Security Council. “In connection with the dangerous development of the situation in the Sea of ​​Azov and the events that followed them, Russia requested an urgent convocation of an open meeting of the Security Council on the morning of November 26 under the agenda item“ Maintaining international peace and security, ”Russian Deputy Representative at the UN Dmitry Polyansky told Interfax. The State Border Service of Ukraine, the National Guard, the National Police and the State Emergency Service of Ukraine have been transferred to a reinforced version of service, the Minister of Internal Affairs of Ukraine Arsen Avakov said. According to the press service of the Ministry of Internal Affairs on the Facebook page, the relevant instructions were given by A. Avakov during an emergency meeting of the National Security and Defense Council of Ukraine (NSDC). The Council of National Security and Defense of Ukraine unanimously supported the proposal of the President of Ukraine Petro Poroshenko to impose martial law for a period of 60 days, said the Secretary of the National Security and Defense Council of Ukraine Oleksandr Turchinov, the press service of the National Security and Defense Council said Monday night.